Are you looking for a change of scenery? Are you are fed up with your job and looking for a change of pace? If the answer to the first two questions is ‘yes’ then ponder the following question. Is there life on Mars? Well soon there could be and it could be you. If you fancy gellin’ like Magellen or cruising like Columbus, then Mars One would like to hear from you. 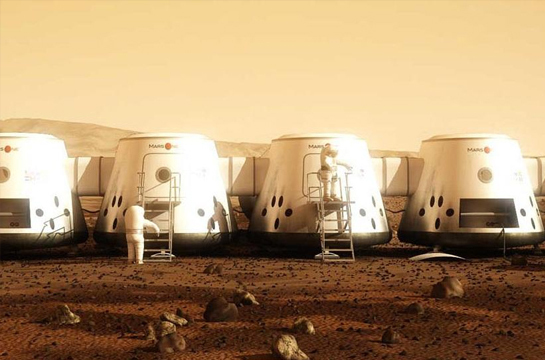 Mars One are looking to establish a human colony on the surface of Mars and have received thousands of applications already. The plan is to send up satellites and pathfinders before sending four humanoids to establish a settlement in 2023. Every two years after that, another four settlers will arrive and before you know it, the community will be positively booming. Naturally as with all exploration expeditions, there is a slight element of danger and risk. But this hasn’t stopped people climbing Everest or plunging to the depths of the ocean in a small metal container has it? Concerns have been raised about the amount of radiation the settlers will be exposed to, not only on the 8-month journey, but also on the surface of Mars. A simple suggestion that the habitation domes can be covered by dirt when they land has alleviated these worries for the most part. Then again, to cover them with dirt will require the settlers to venture out onto the barren surface of the red planet under the bombardment of radiation and do it themselves. A further warning to any potential applicants; if at any point on the 8-month journey should someone utter the phrase “are we nearly there yet?” – that person will be jettisoned into space. So if you get accepted to the program, bring a book. Or better yet, a Kindle, it’s a long journey and tempers will likely flare. It should probably also be mentioned that this trip is realistically going to be a one-way deal. During the course of the journey, it is expected that the astronauts will lose a serious amount of muscle and bone mass making it nearly impossible to consider returning to Earth. Quite the radical diet plan should you wish to lose weight at any cost, but ironically pointless in a largely weightless environment. Also, despite my biological knowledge lacking somewhat, I am under the impression that bones and muscles are important. So Mars One are looking for resilient, adaptable, resourceful team players to apply who don’t mind the moderate to extreme dangers that will be thrown their way. I expect patience will also be essential. I may be on the job hunt myself, but this is quite a job spec and don’t think I will be putting my CV forward. But what kind of person is likely to apply? You have to be willing to accept the dangers of the mission and be willing to leave mankind behind forever. I say leave mankind forever; they are hoping to televise the mission on TV making it the first reality TV show in space. But if it turns out to be anything like Big Brother, the evictions will be brutal. Although these four brave souls will leave Earth forever, their names will go down in history alongside the likes of Neil Armstrong and Buzz Aldrin. It is exciting thinking about a future when the human race has expanded to the wider galaxy like in science fiction and this is the first step that will make that journey possible. It may be a little lonely living on a planet with a population of (initially) 4, but that number will soon swell should everything go to plan. 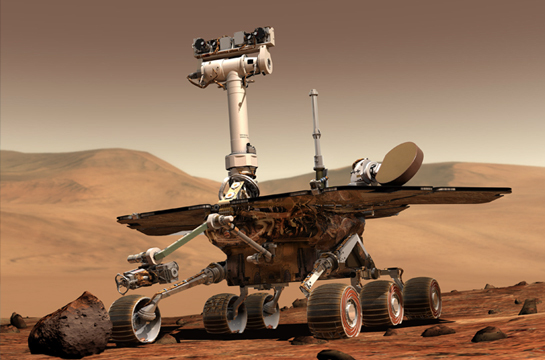 And until then, they may not have a dog on Mars, but they do have a very different kind of Rover to play with to pass the time. Should you wish to take your place in the history books and become one of the first human Martians, you can apply on the Mars One website.